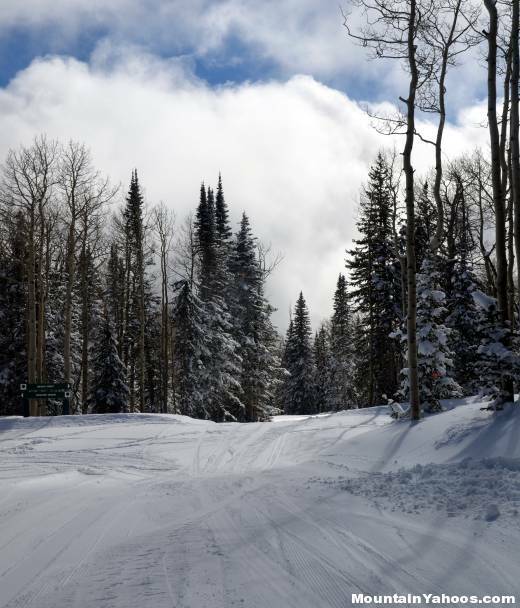 Eagle Point Ski Resort in Utah provides a mountain for two distinct levels of ability with dual road and parking access to allow one to embrace only one experience if necessary. 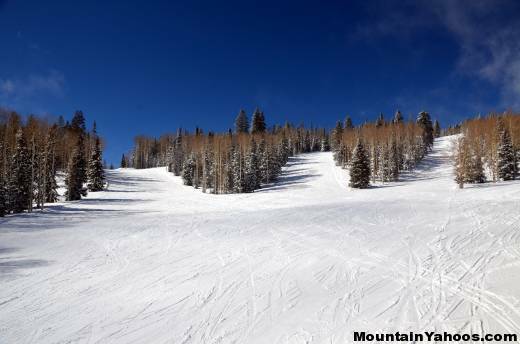 The beginner and intermediate skiers can head to and park at Eagle's Nest/Skyline and experience only the beginner and intermediate runs. 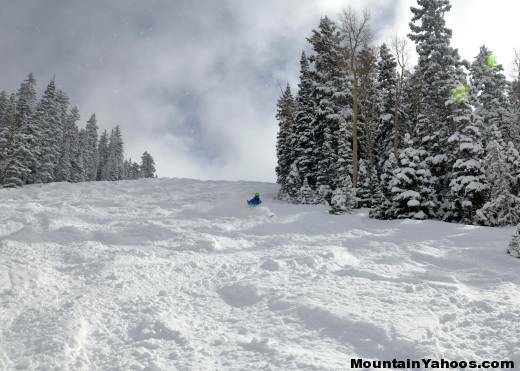 Those wishing to experience advanced terrain can head to and park at Canyonside Lodge and play all day off of the extensive terrain available from the Lookout quad chair lift. All terrain is connected but the split is clear. 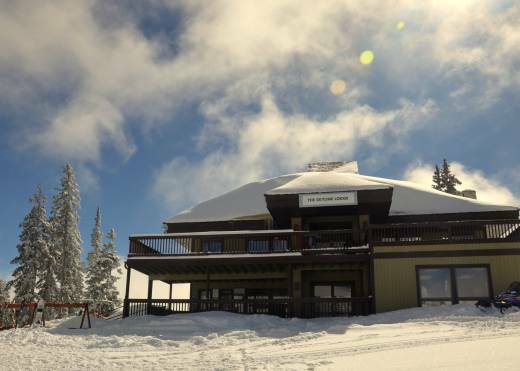 For those who don't ski or board, a tubing hill is available from Skyline lodge at the top of Skyline lift. Eagle Point is also surrounded by some of Utah's finest national parks such as Zion, Bryce canyon, Canyonlands, Arches National Park and Grand Staircase National Monuments. The terrain at Eagle Point is split clearly into the beginners and intermediate side of the resort (left side of the trail map) and the advanced side of the resort (right side of the trail map). Once on the beginner side, it is unlikely that one will mistakenly enter any threatening terrain. 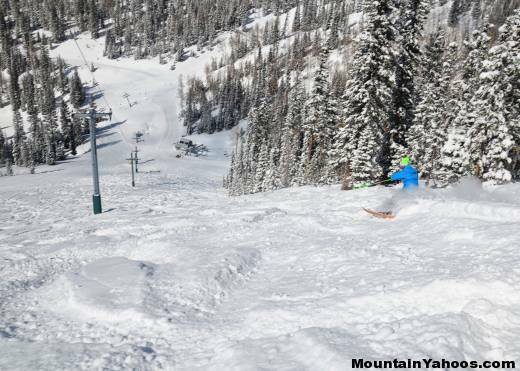 The Sykline double chair and Monarch triple chair feed the majority of blue runs on the mountain. 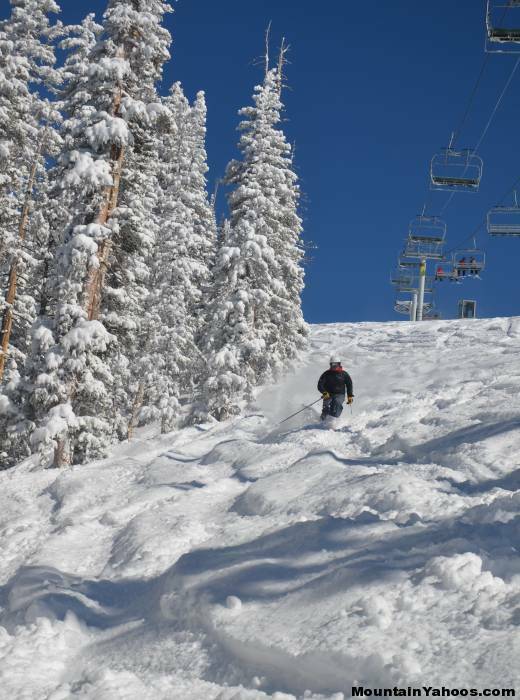 The steepest terrain is all found off of Lookout quad chair lift. 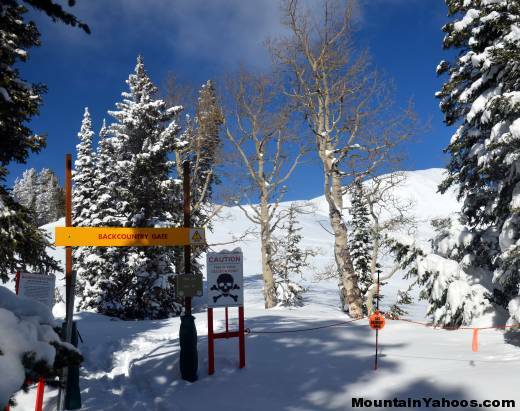 This backcountry access gate can be found at the top of the Monarch triple chair. This gate will lead to a ridge hike which will in turn lead to some spectacular open areas. The five backcountry access gates are marked as orange triangles on the trail map for easy access to areas beyond the resort boundaries opened in cooperation with the Fishlake National Forest Service. One should have all of the backcountry gear, avalanche beacons, training and preparation before attempting this terrain. 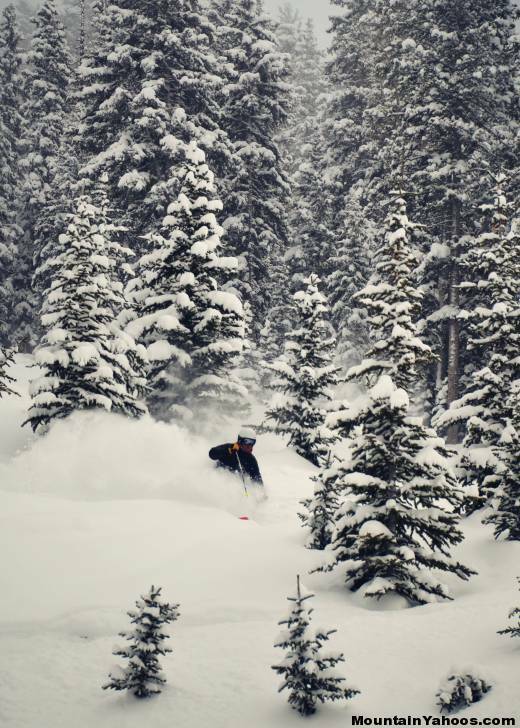 Note: The backcountry areas are not patrolled and have no avalanche control. 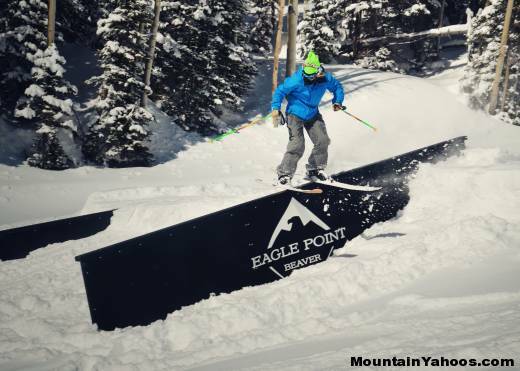 Eagle Point does have terrain park but you will be lured towards the open mountain terrain on a powder day. 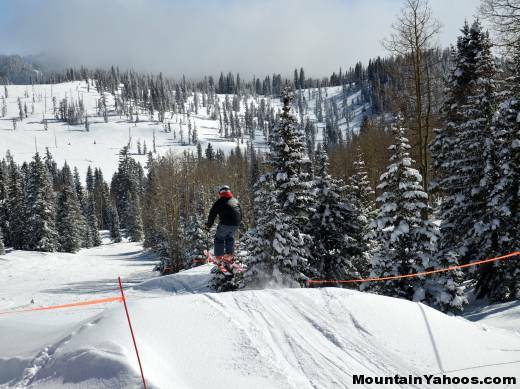 The terrain park is accessible from the Monarch Triple Chair. 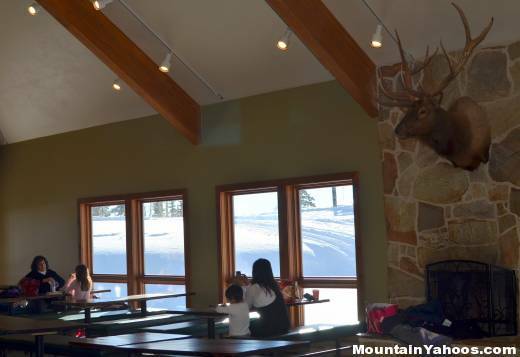 The outpost grill has a bar, two fireplaces, a private lounge, and a dance floor. Bring your own party. You will not freeze of go hungry with all of the Lodge options at Eagle Point. 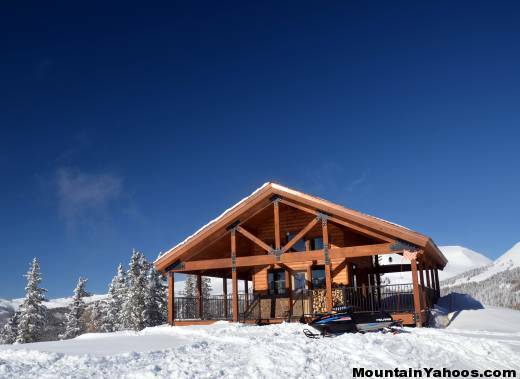 Skyline Lodge at the peak of the beginner/intermediate mountain and The Lookout at the peak of the advanced mountain as well as the base lodge will both feed you and protect you from the cold. While Eagle Point has a base lodge, there is no village. The closest town is Beaver UT (30 min drive). You will have to head into Salt Lake City or make the long haul to Park City for your shopping. 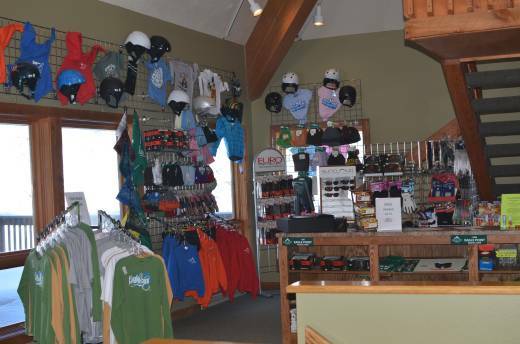 Locally the Skyline Lodge shop can take care of your alpine needs (including repair and rentals). There is nothing on the mountain. Stop by Vegas on your way over, or on your way back, it's only four hours away. 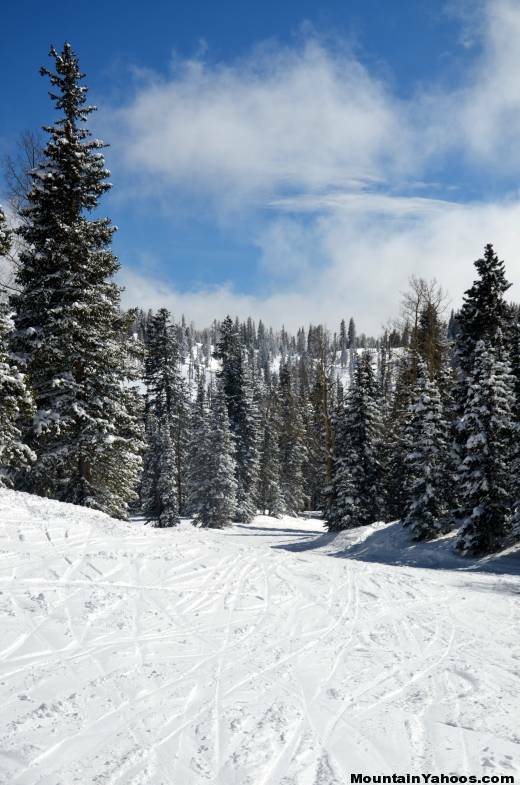 Eagle Point ski area is located 20 minutes from Beaver Utah or about three and a half hours from Las Vegas or Salt Lake City. Commercial flights (Delta) are available into Cedar City Municipal Airport. Take UT21/Beaver/Milford exit 109 and follow the ramp towards Beaver. Take Exit 112 toward UT-21/Beaver/Milford and follow the ramp towards Beaver. Note that Google maps will show Hwy 153 from Beaver UT to Eagle Point resort (mile marker 19) as "closed for the season" when in fact it is open (Jan 2019). The resort has been trying to get this corrected but has not had any luck. 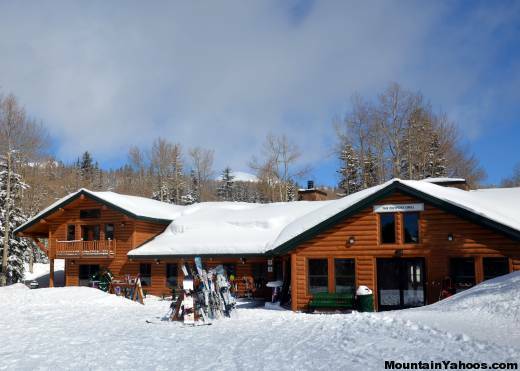 Eagle Point Resort on-mountain Lodging information - privately owned cabins, houses and condominiums for rent.